12.02.10 POTD, originally uploaded by Sarah (SarahDanyelle). 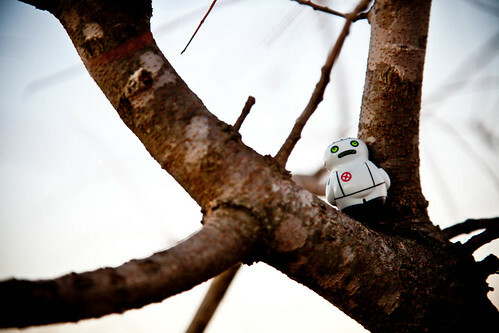 Does anyone remember that earlier this year I was going to take a hundred pictures of a littlle toy I named George? well, about a month in I lost half of George, so he really wasn't good in half. So I thought I'd eventually find another "George" and take 20 pictures of him and then move on, so there would be five Georges. Well, I just found number two and it's been forever so this guy may end up being the forever George. Or not. The good thing is, he's only one piece so I can't loose half of him!